When it comes to Mexican real estate in Cabo San Lucas, there is an abundance of great choices available right now. From its excellent weather year-round to natural beauty, it is a dream location for many people in search of Mexican real estate by the ocean. When compared with coastal properties in the United States, the price point in Cabo for amazing Pacific Ocean views cannot be beat. It is always helpful to enlist the services of a reputable Mexican real estate agent to help you on your house hunt as well. Are you wondering if now is the time to buy Mexican real estate in Cabo San Lucas? It appears to be that way. Whether you are looking for a home in a gated community or want a condo-hotel with all the bells and whistles, there are lots of options available and it is still a buyer’s market. Mexican real estate in Cabo San Lucas can range from a nice two-bedroom home for as little as $250,000 up to more than $2 million for a luxury, upgraded three-bedroom condo with all the services and amenities one would expect. Interested in investing in a timeless, well constructed property that will retain its value and could also possibly serve as rental income for the future? If so, then consider the luxurious Mexican real estate available at Villa La Estancia Cabo. Located on Cabo San Lucas’ charming Medano Beach with views of the iconic El Arco at Land’s End, Villa La Estancia Cabo is an award-winning property that offers both full and fractional ownership and exclusive 5-star amenities so you can enjoy a magnificent, relaxed lifestyle for all your vacations. Visit try-and-buy to learn more about the popular Try and Buy program where you can test out a property and its community first by experiencing it firsthand before you have to sign a purchase contract. With amazingly spacious units that are elegantly furnished and designed, to the spectacular amenities including multiple pools, spas, gyms, restaurants and bars, at Villa La Estancia Cabo San Lucas you truly can have it all. Another benefit to owning Mexican real estate at Villa La Estancia Cabo San Lucas is that there is a very strong rental market in Cabo. 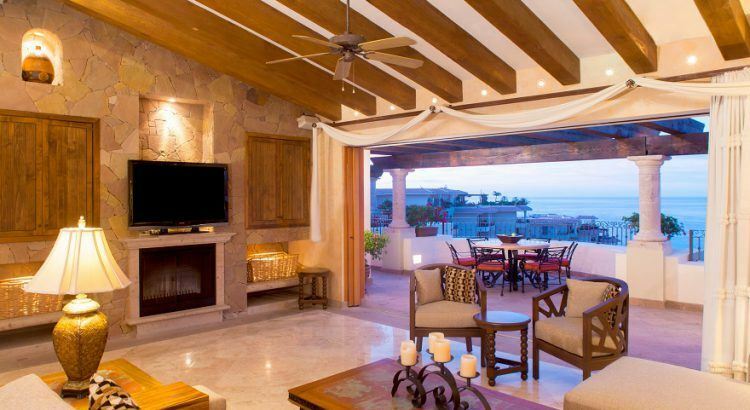 If you decide to rent out your property at Villa La Estancia Cabo San Lucas, it can help cover expenses for your investment when you are not using it. The staff is friendly and courteous, and available twenty-four hours a day to assist you and your potential renters as needed. The majority of buyers purchasing Mexican real estate at Villa La Estancia are from the United States and Canada, but Europeans and other nationalities are starting to invest in Cabo San Lucas Mexican real estate as well. To learn more about how you can buy Mexican real estate at Villa La Estancia Cabo in Mexico, visit https://cabosanlucas.villalaestanciarealestate.com/ today to view the units available and learn more about the fabulous amenities and services that await you. The time is now to invest in your future!